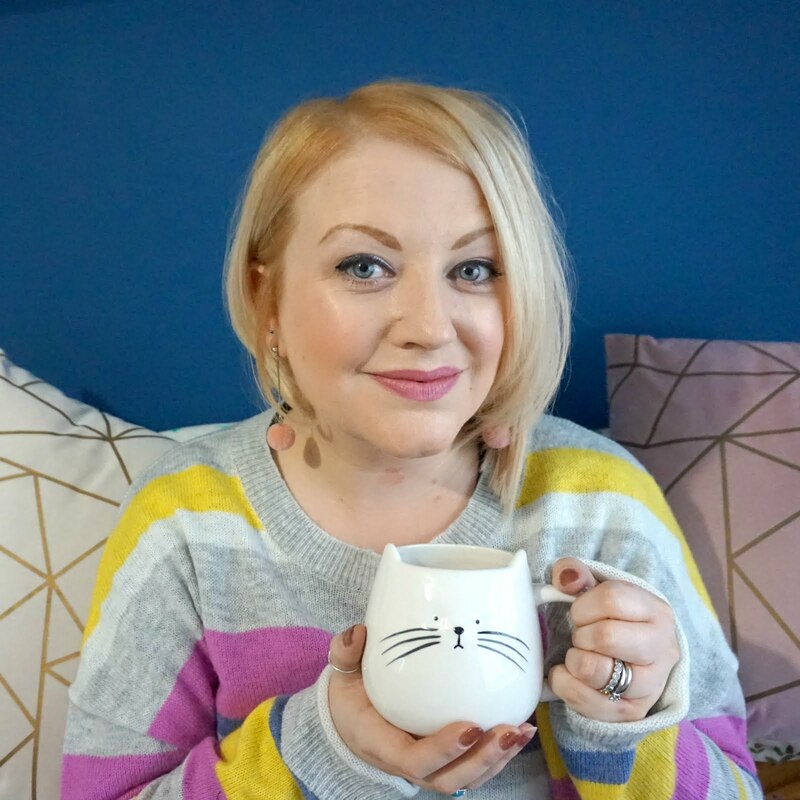 So half term is upon us and whilst Ethan isn't yet at school, many of our friends are teachers and it's hard not to get carried away with half term madness - and the lead up to Halloween. 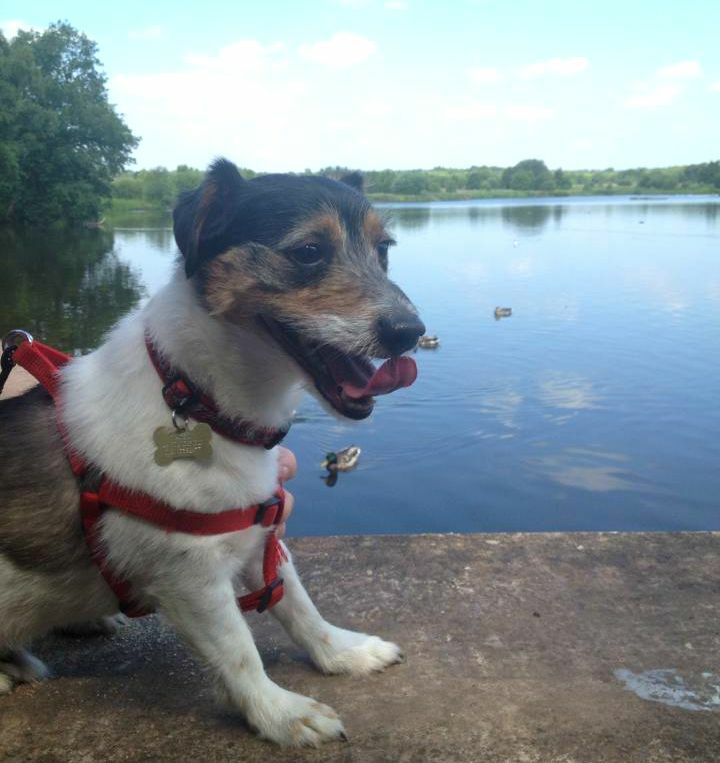 I didn't know this park existed a couple of years ago but now it's one of the places we visit the most, just as there's a great park, a lovely lake and lots of scenery to enjoy - and maybe somewhere to collect some conkers. A great spot for a lazy Sunday walk. There's also a farm, which we haven't visited before but I'd like to one day. 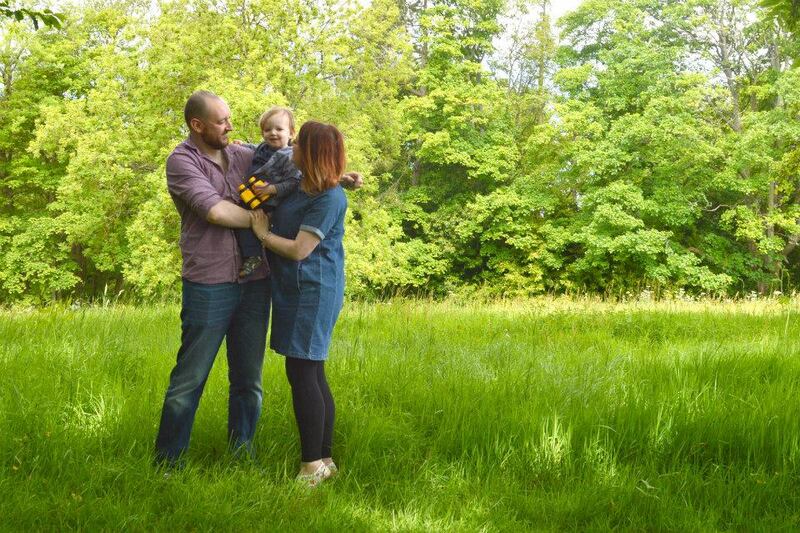 This is right on my doorstep and was somewhere Ethan and I spent many summer days when I was on maternity leave. It's huge (over 2000 acres), with various entry points and car parks you can access it from and it's just a beautiful place to enjoy the great outdoors. You can walk for miles, take your bikes, walk the dog, pack a picnic, sit by one of the lakes or ponds, enjoy the swings and play area at the main entrance... whatever you like. For free. I love woods and forests and know that my little Gruffalo would really enjoy a visit here as there's a trail in the deep dark woods where you might find the orange-eyed, knobbly-kneed fella yourself, along with a Superworm themed trail. We visited this small, charming, working farm to see Santa at Christmas and would definitely recommend a visit. There's lots of farm animals to see and a nice coffee shop / restaurant, and the scenery is great too. It's not too commercial and affordable too, with admissions from £6.50 to £8.50, and the farm open daily. 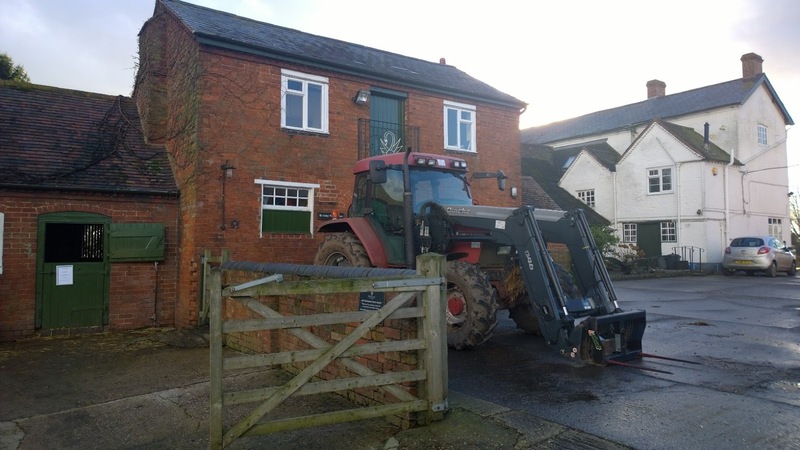 This farm is full of fun things to do, from lots of farm animals and small animals you can handle through to a maize maze in the summer and indoor and outdoor play areas. The food served here is great but you can bring your own lunch too and it's such great value because there is so much to offer. A great way to wear your little ones out! 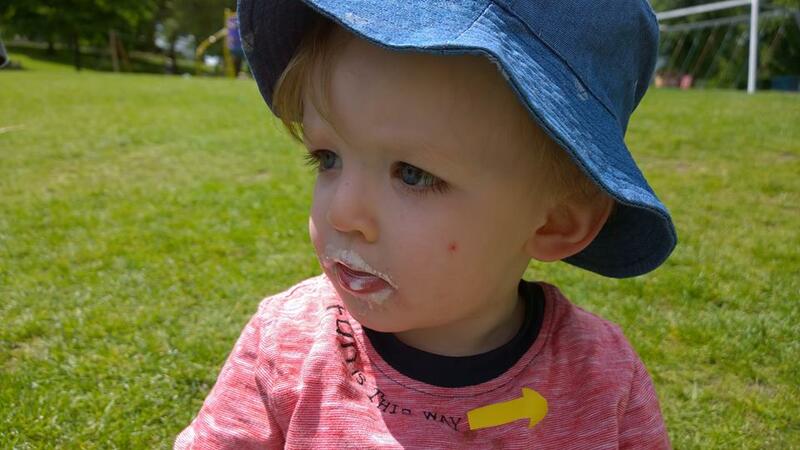 You can read about our day out to the farm last summer here and ticket information can be found here (prices were around £10.75 per person over 2 years old, but check online for details). I'd love to one day be a member of the National Trust, as I love the great outdoors and history too. We visited Baddesley Clinton in Warwickshire last year and it was just such a nice place to spend a lazy day (see all our pics here). It's a National Trust moated manor house that was built in the 1500's and it has acres of garden and land to explore and a nice tea room too (although , with plenty of exploring for little ones to do. Prices are faround £3.50 for children for garden only - see here for further details. Be sure to check our the National Trust website too as there's so many historical buildings and sites well worth visiting in the region. I've never been but have been told that the steam railway in Burntwood, Staffordshire, is well worth checking out. There's steam and diesel days and the fares are all very reasonable too (starting at just 50p for children and £1 for adults for a narrow gauge journey), so it's an affordable way to spend an afternoon as a family. This is one of our favourite places to go and you can have a really great, and busy, day out. The safari is obviously the main part and great to do. It takes an hour and a half to drive around, although at busy times, it can take up to twice as long so arrive early or do this towards the end of your visit if it does look busy. 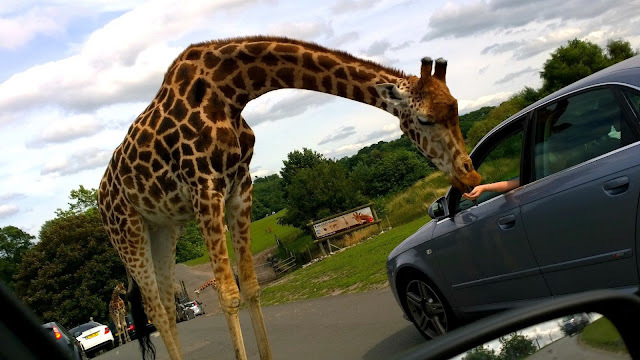 You'll see rhinos, elephants, lions and white lions, tigers and white tigers, giraffes and lots of other animals besides. Ethan has loved it everytime we have been (and we never miss the fireworks) and I'd suggest taking some snacks and drinks for the car to keep everyone happy. When you get out of your car, you can go visit the penguins, watch the sealion show, expore the reptile house, walk around Lorikeet Landing and potentially have some parrot stowaways join you and then you can walk in the Land of the Living Dinosaurs - an obvious highlight for my dino loving toddler! It's also great at Christmas too. Tickets can cost from around £13.49 for children and £17.99 for adults if booked online (under 3's are free) so it may cost a little for a day out BUT there's loads to do and you receive a free return ticket for your whole party within six months. 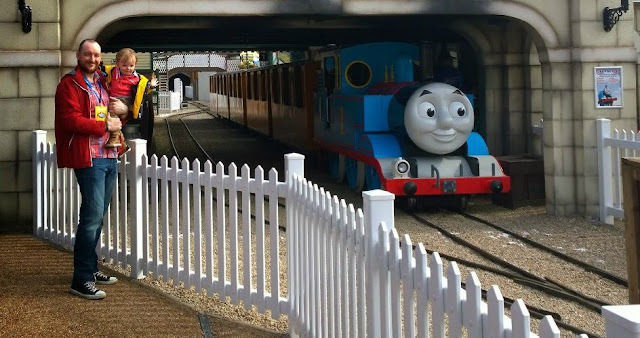 Do you have a Thomas the Tank Engine fan in your house? Like animals, even dinosaurs? Looking for a good play area for the children to wear themselves out in? Want somewhere you can easily spend a day and see lots of different things? Oh, and do you enjoy going on rides? Then Drayton Manor is a great day out, even for young ones. We've been twice now (last summer and when the new Thomas Land extension opened earlier this year) and have had a great time both days. There's a lot to walk around, you can buy food there or take a packed lunch with you to enjoy at one of the many picnic benches. There's the big rides, Thomas Land, the zoo, the playground and a dinosaur park too... what more could your children want? Tickets were priced around £5 for 2-3 year olds, £15 for up to 11 year olds then £20 for 12 year olds upwards if booked seven days in advance, but check the website for current prices. 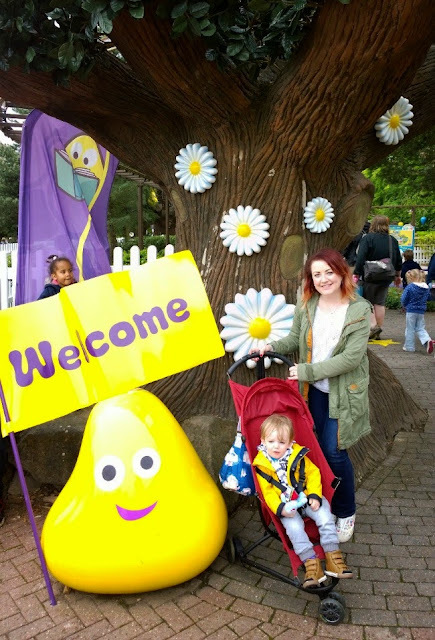 I've only been once and the day we went was rather busy, but for little ones, a trip to Cbeebies Land is filled with their favourite characters and is sure to put a smile on their faces. There's plenty of things to do besides Cbeebies Land, of course, and all this is including in your ticket - which it should be because it's not a cheap day out. Under 4's are free then tickets start £32.85 per person if buying family tickets together and at least seven days in advance. Visit here to work out which ticket and deal is best for you (and keep an eye out for discount vouchers). 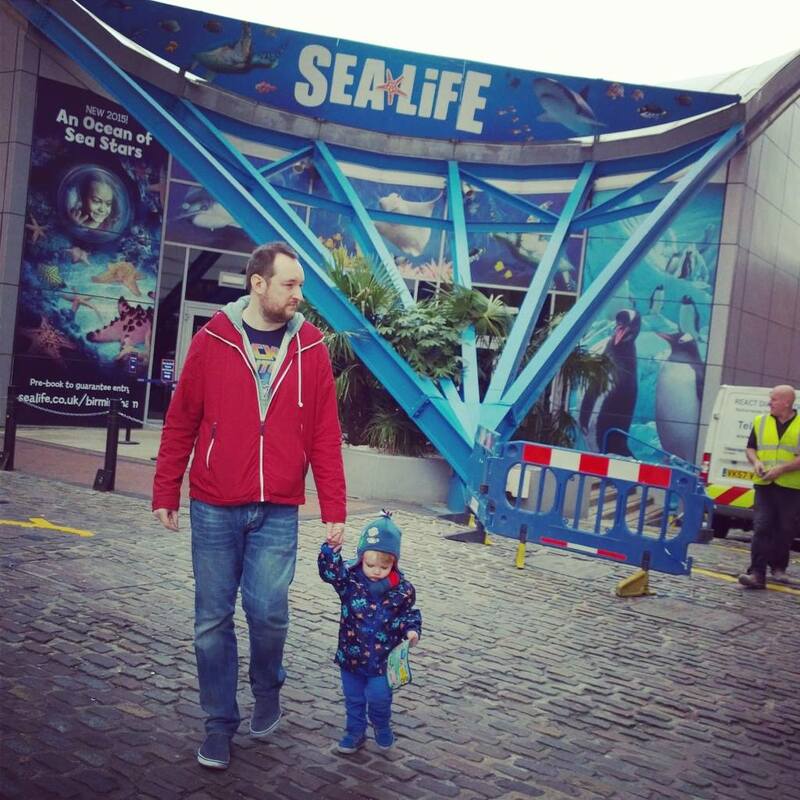 I love animals and so does Ethan, so we have been regular visitors to the Sea Life Centre. 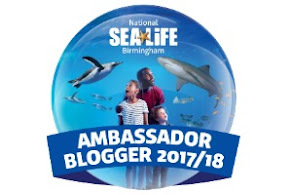 It seems that every new season, there's a new attraction, feature or event so there's always something new to enjoy and plenty to keep children entertained. The penguins are a real highlight for me and we last went when the starfish attraction had been added. Check out my post all about the spooky goings on planned for half term and Halloween. 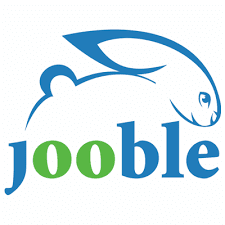 Online prices can start from £12 so well worth doing, with under 3's getting in for free. We went on this old style steam train journey on Ethan's birthday last yearand again for my birthday this year it was a lovely way to spend a few hours, taking in the sights and enjoying the whole experience. The Seven Valley Railway runs between Kidderminster and Bridgnorth and the journey takes around one and a half hours each way, with ticket prices did start around £12.50 for children and £19 for adults if paid for on the day - check online for current fares. We went to the BCLM a couple of Christmases ago for their Victorian themed Christmas evening (a lovely festive treat) and I'd like to go back again as I love history and there's plenty to enjoy, including authentic shops from the age of industry and an old fashioned fair. Tickets start from around £7.25 for children and £15.50 for adults I believe (see online). 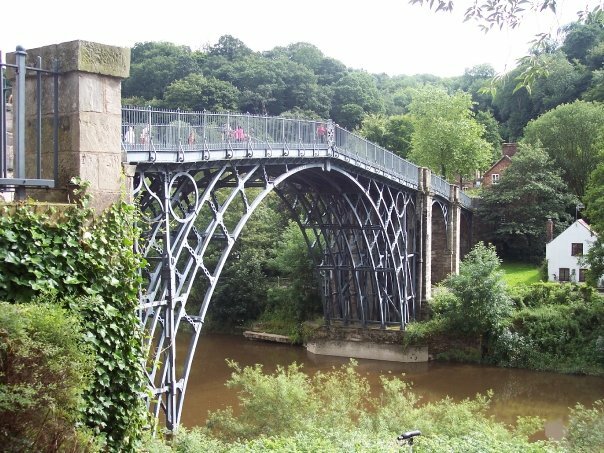 First of all, you can visit the impressive Ironbridge and surrounding cute shops for free, save for a car parking ticket, and this certainly makes for a nice day out (we went camping nearby six years ago and loved it). However, there's plenty to explore too if you want to make more of a day of it, plus the tickets you buy are 'annual passports' (around £25 for adults when bought online, last time I checked), so you can return again and again, making it better value. 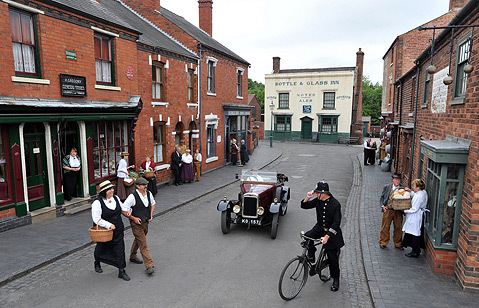 There's 10 Ironbridge Gorge Museums covering everything from fine china to a recreated Victorian town. I still remember visiting on a school trip when I was a young teen so it's definitely a memorable place to visit. I'm sure that there's plenty other great places to visit in the Midlands so do share your thoughts and I can update this list!